WHat is the theory of MI? 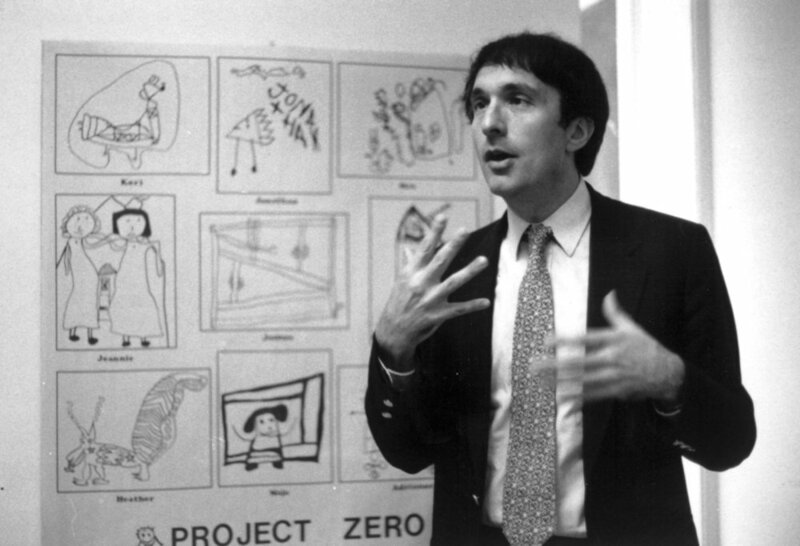 Howard Gardner developed MI theory in the late 1970s and early 1980s. In doing so, he drew on evidence from a wide variety of sources, disciplines, and research tradition. He presented the theory for the first time in 1983, in the book Frames of Mind: The Theory of Multiple Intelligences (New edition, 2011). Gardner is the John H. and Elisabeth A. Hobbs Professor of Cognition and Education at the Harvard Graduate School of Education. He also holds positions as Adjunct Professor of Psychology at Harvard University and Senior Director of Harvard Project Zero. Among numerous honors, Gardner received a MacArthur Prize Fellowship in 1981. He has received honorary degrees from twenty-nine colleges and universities, including institutions in Bulgaria, Chile, Greece, Ireland, Israel, Italy, South Korea and Spain. In 2005 and again in 2008, he was selected by Foreign Policy and Prospect magazines as one of the 100 most influential public intellectuals in the world. Most recently, Gardner received the 2011 Prince of Asturias Award for Social Sciences. The author of twenty-eight books translated into thirty-two languages, and several hundred articles, Gardner is universally known as the father of Multiple Intelligences. What are the implications of MI? 1) The intelligences constitute the human intellectual toolkit. Unless grossly impaired, all human beings possess the capacity to develop the several intelligences. At any one moment, a human being will have a unique profile, because of both genetic (heritability) and experiential factors. 2) Each human being has a distinct intellectual profile. Identical twins will certainly have similar cognitive profiles. But the profiles will not be identical; even though the genetic constitution is the same. Identical twins have different experiences (even in utero!) and once born, each may be motivated to distinguish himself from his genetic clone. 1) Individuation (also termed personalization) – Since each human being has her own unique configuration of intelligences, we should take that into account when teaching, mentoring or nurturing. As much as possible, we should teach individuals in ways that they can learn. And we should assess them in a way that allows them to show what they have understood and to apply their knowledge and skills in unfamiliar contexts. 2) Pluralization – Ideas, concepts, theories, skills should be taught in several different ways. Whether one is teaching the arts, sciences, history, or math, the seminal ideas should be presented in multiple ways. If you can present the art works of Michelangelo, or the laws of supply and demand, or the Pythagorean Theorem in several ways, you achieve two important goals. First of all, you reach more students, because some students learn best from reading, some from building something, some from acting out a story, etc. Second, you show what it is like to be an expert—to understand something fully, you should be able to think of it in several ways. Where can i learn more about mi? Do you want to discuss the Theory of Multiple Intelligences with others? Visit the official MI Oasis Facebook page here and submit a question or provide a response. If you are a Practitioner and want to learn about how the Theory of Multiple Intelligences is being utilized at various schools, businesses, and organizations around the world, visit the Practices section of this website by clicking here. Do you want to gain a deeper understanding of the research and methodology behind the Theory of Multiple Intelligences? Click here to visit the Resources section of this website.